From the forces that brought you X-Men and Daredevil - Superstar Jennifer Garner proves that looks can kill as the sexiest action hero ever to burst from the pages of Marvel Comics. Restored to life after sustaining mortal wounds in Daredevil, an icy, solitary Elektra (Garner) now lives only for death as the world’s most lethal assassin. Using her bone-crunching martial arts skills and Kimagure - the ability to see into the future - Elektra is on a collision course with darkness - until her latest assignment forces her to make a choice that will lead either to her redemption or destruction in the ultimate battle between good and evil! $14.792 million on 3203 screens. When you decide to spin off a franchise, shouldn’t the original qualify as a genuine hit? 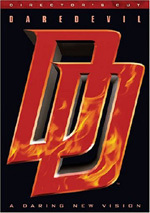 With a gross just barely past the $100 million mark, 2003’s Daredevil didn’t exactly light a lot of fires. So why’d Fox decide to spin off a supporting character for 2005’s Elektra? I guess hope springs eternal, though the horrible $40 million gross for 2004’s Catwoman must have given the folks at Fox some chills. Does Elektra live down to the level of that classic clunker? Probably not, though the pair seem to be kissing cousins. Obviously audiences were even less interested in Daredevil’s girlfriend, as Elektra grossed a pathetic $24 million. At the start of Elektra, we learn about a mystical order called The Hand, a group with its good and evil sides. Their prophecies predict a female warrior who will act as the final weapon in an ancient war. The Hand wants to do away with “the Treasure” so no one else can take advantage of her powers, and they send folks to get rid of her. We meet Elektra (Jennifer Garner), a paid assassin who may go too far and who drives herself very hard. Her agent McCabe (Colin Cunningham) gets her jobs but she otherwise has little contact with the outside world. This starts to change when she takes on a new assignment and lands on an island in the Pacific Northwest. She meets somewhat wild 13-year-old Abby (Kirsten Prout) and her single dad Mark (Goran Visnjic). Against her better judgment, she starts to warm to them, and that complicates matters when she finds out they’re her assassination assignment. This means that she backs out of the job, but that doesn’t get Abby and Mark out of the woods. Others come after them, and Elektra starts to act as their protector. This leads to even tougher foes, as the Hand sends out a group of super-powered bad-asses to take down the whole lot of them. The rest of the movie follows their battles as well as various twists. Unfortunately, she seems overwhelmed by the burden of stretching Elektra to the leading character in a full movie, and her bland performance reflects that. Or maybe she just didn’t know how to overcome the lackluster script, but whatever the case, Garner seems badly miscast for the role as featured in this movie. How can I see her as so good in Daredevil and so bad here when she plays the same part? Simple - this isn’t the same Elektra. The character in Daredevil more closely approximated a real person, as she had range and demonstrated various personality facets. Elektra’s lead mostly comes across as dour; though the movie occasionally allows her a little depth, Garner usually looks either sad or mad. She doesn’t handle the quiet intensity required, and she also just looks nervous when she should be determined. Garner looks the part well enough for the battle sequences, but unfortunately, technology undermines her there. Elektra makes liberal use of CG for all its baddies and fights. Those range from simply unconvincing to wholly dreadful, and they genuinely distract from the action. At times it almost feels like you can see the wires that support the actors, and the visual effects look fake. Those problems rob the fights of any potential power and they keep us distanced from the story. Not that this trite and predictable tale offers much intrigue anyway. The second Elektra meets Abby, it’s absolutely inevitable that she’ll become surrogate mom and will work through her own demons. Those are represented by Elektra’s flashbacks to her own childhood, and they mean that the film often feels like something you’d see on Lifetime. I suppose it’s possible to deftly meld chick flick and action tale, but that doesn’t happen here. Bizarrely, Elektra takes an exceedingly simple plot and somehow makes it muddled and confusing. Do we ever really understand the Hand and their quest? Not really, as the movie fails to provide a good explanation of that crew. Other details don’t receive strong exposition as well, and this all comes across as sloppy storytelling. I think Elektra theoretically could have been a decent movie, and I felt the same about Catwoman. Unfortunately, both movies falter in too many different ways to ever succeed. Elektra lacks the giddy campiness of Catwoman, which may actually be a negative. At least the latter let us laugh at it, while Elektra never presents similar mocking joy. It’s just a mess. Note that this DVD presents a slightly longer “Director’s Cut” of Elektra. How does it differ from the theatrical version? Not by a whole lot. The DC runs only three minutes longer and simply pads out a few elements. It extends a few shots removed for pacing and also adds a smidgen of bits dropped for ratings issues. This doesn’t make it graphic, though, so don’t expect something along the lines of the more distinctive Daredevil Director’s Cut. None of the changes improve the movie, as it remains tedious and flawed. Elektra appears in an aspect ratio of approximately 2.35:1 on this single-sided, double-layered DVD; the image has been enhanced for 16X9 televisions. Elektra presented the kind of strong transfer I expect from a brand-new movie. Across the board, sharpness looked terrific. Virtually no softness ever crept into the presentation. The movie consistently came across as concise and distinctive. Jagged edges and shimmering created no concerns, and I also noticed only a smidgen of edge enhancement. No source flaws ever appeared, as the movie lacked marks, specks, debris or distractions of any kind. Just like every other flick that tries to be hip and edgy, Elektra featured a highly stylized palette. Most of the time the movie went with a golden tone, all the better to make Elektra’s signature reds more prominent. Within the confines of the visual design, the colors looked solid, as I noticed no bleeding, noise or other concerns. Blacks seemed dynamic and rich, while low-light shots demonstrated fine delineation and clarity. Nothing much interfered with the picture here, as the movie always looked great. Similar thoughts greeted the audio of Elektra. As was the case with its predecessor Daredevil, the flick boasted both Dolby Digital 5.1 and DTS 5.1 soundtracks. The DTS mix seemed just a smidgen more involving and vibrant. However, the differences weren’t substantial enough to warrant a higher grade for the DTS audio, as the pair mostly appeared identical. Big comic book movies usually come with big action soundtracks, and that was often the case with Elektra. The flick lacked the consistent assault of something like Daredevil, but it used the various channels to good effect. Music showed nice stereo imaging, and the effects cropped up from various locations with good delineation and blending. Quieter scenes demonstrated a fine sense of atmosphere, and the louder ones kicked the action into higher gear. 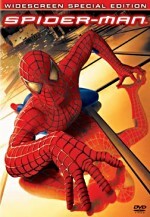 The movie didn’t present many real standout scenes, but it balanced the five channels with good involvement and activity. No issues connected to audio quality occurred. Speech always appeared natural and concise, with no edginess or intelligibility problems. Music sounded robust and dynamic. Highs were tight, while low-end was deep and firm. Effects followed suit, with bright, accurate elements at all times. These never became distorted, and they kicked in with good bass response when necessary. All in all, the audio impressed. How do the audio and picture quality of this Director’s Cut compare to those of the theatrical edition? Both seemed virtually identical to me, as I noticed no changes in either area. Whereas the prior DVD skimped on extras, this one adds quite a lot of pieces. On Disc One, we get two trailers along with an audio commentary from director Rob Bowman and editor Kevin Stitt. Both sit together for their running, screen-specific chat. Though Bowman heavily dominates, Stitt’s presence affects the content, as we hear a lot about editing choices and scene construction. In addition, we learn what restorations they made for the Director’s Cut, issues related to the actors such as Garner’s availability, problems with the short production schedule, stunts and action, themes and story topics, music, visual effects, and reactions to the movie’s critics. Not too many examples of bland praise appear here, as the commentary usually offers good notes. We learn a lot about the production and get a good feel for all the related challenges. I don’t care for the movie, but Bowman and Stitt provide an informative and engaging commentary. Over on Disc Two, the elements split into two categories: “The Film” and “The Mythology”. When we enter the former, we begin with a two-part documentary called Relentless: The Making of Elektra. Taken together, the two segments fill two hours and 20 minutes. “Relentless” features movie shots, behind the scenes materials, and interviews. We find notes from Bowman, Stitt, producer Gary Foster, writers Stuart J. Zicherman and Raven Metzner, producer/Marvel CEO Avi Arad, cinematographer Bill Roe, special effects department Andre Dominguez, special effects supervisor Richard Hoover, first assistant editor Mary Morrisey, second assistant editor Brian Addie, sound designer/co-supervising sound editor Craig Berkey, visual effects supervisor Dan Deleeuw, lighter Gaelle Morand, visual effects compositor Jeremy Nelligan, animators Ryan Donaghue and James Kinnings, animation supervisor Lyndon Barrois. Composer Christophe Beck, digital intermediate colorist Skip Kimball, and actors Terence Stamp, Jennifer Garner, Goran Visnjic, Kirsten Prout, and Will Yun Lee. Part One discusses the development of the story and script, scheduling pressures and finding a director, casting and the work of the actors, various aspects of the shoot such as locations, cinematography and set design, and planning/executing shots. It also gets into different kinds of effects, fights and stunts, pros and cons of the anamorphic 2.35:1 format, costumes and weapons, and general notes. From there, Part Two digs into editing, opening titles, audio, visual effects, the score, the digital intermediate process, and concluding thoughts. I can’t complain about the scope of “Relentless”. It covers a mix of production topics and does so in detail. A lot of “Relentless” shows raw footage from the set along with commentary from Bowman. Those elements prove especially valuable, as I like to see clips from the shoot. That said, I don’t think “Relentless” qualifies as one of the great DVD documentaries. It leaves no stones unturned, but it fails to ever become terribly engaging. It’s tempting to think this is the case because I don’t like the movie, and that may be a minor factor; certainly I’d be more involved in a show about a film I enjoy. However, I’ve had fun with plenty of DVD extras for flicks I disliked, so that doesn’t explain it. Perhaps “Relentless” actually includes too much information. It’s a balancing act, I suppose, as more isn’t always better. Don’t get me wrong: I do think this is a rich and informative piece that tells us a ton about Elektra. However, I found my attention wandering more often than I’d like. By the way, fans of gag reels will want to stick around through the credits for Part Two. You’ll get your fix of bloopers there. Showdown at the Well: Multi-Angle Dailies presents what its title implies. We find four segments that run between 17 seconds and 68 seconds per angle. Each snippet offers two angles except for the first one; it comes with three. Each also has a screen that shows all the available angles. This is a fun way to see different shot possibilities. Also found on the original DVD are this set’s three Deleted Scenes. All together, they last four minutes, 55 seconds. We see “Sai Approach”, “’Come Back to Me’”, and “Rounding Up the Troops”. “’Come Back to Me’” unquestionably acts as the most interesting clip since it includes a cameo from Ben Affleck; it’s good to see some acknowledgement of Elektra’s cinematic past. Otherwise, these scenes offer minor embellishments and little more. One change from the prior disc: we can now watch these with optional commentary from Bowman and Stitt. They tell us some details about “Sai” and “Troops” and let us know why those scenes didn’t make the final cut. Oddly, there’s no commentary for “Come Back to Me”. This release continues with six Alternate/Extended Scenes. This area adds “Alternate Opening”, “Young Elektra Throws Coin Into Wishing Well”, “Young Elektra Buries Sais”, “Sais Out of the Ground”, “Alternate Elektra and Abby”, and “Go Game”. Taken together, these fill 13 minutes and 38 seconds. Most of these seem like filler to me. We get a little more related to young Elektra, and both the “Alternate Opening” and “Go Game” – which are connected - offer an interesting potential path, but nothing here seems particularly memorable. The “Alternate/Extended” clips come with optional commentary from Bowman alone; I guess Stitt needed a bathroom break. Bowman offers some rudimentary notes about the scenes and occasionally – but not always – tells us why they didn’t appear in the film. Under the Galleries banner we get five areas. These cover “Costumes” (26 frames), “Production Design” (18), “Weapons” (four), “Unit Photography” (84) and “Storyboards” (847 across seven sections). I like the “Costumes” most of all, but each of the pieces offers good information. Over in “The Mythology”, we get two components. The main one presents a documentary entitled Elektra: Incarnations. This 52-minute and 46-second program looks at the evolution of the comic book Elektra. It includes remarks from artist/writer/Elektra creator Frank Miller, inker Klaus Janson, artist Bill Sienkiewicz, and writers Brian Michael Bendis and Greg Rucka. We learn about Miller’s start with Daredevil and his creation/development of Elektra, what others brought to the character and her further explorations, facets of the artwork, and various takes on her. “Incarnations” isn’t the liveliest documentary I’ve seen, as it plods a bit while it follows its path from person to person. Nonetheless, it definitely digs into Elektra’s comics career well. We get a concise picture of how she started and evolved over the years. The show gives us a fine look at all the changes and variations along the way and it proves to be a nice primer on the character. Next we get the 15-minute and 24-second Elektra in Greek Mythology. It presents comments from Loyola Marymount University Professor of Greek Studies Dr. Katerina Zacharia. She covers exactly what the title indicates, as she runs through all sorts of historical precursors to the comics character. This turns into little more than “talking head” shots as Zacharia chats, but since she’s gorgeous, I won’t complain. Zacharia provides a concise discussion of the subject and gives us good background information. Does this Elektra lose anything from the prior release? Yes – it drops a few pieces. We don’t get a short “Making of Elektra featurette, a 95-second “Comic-Con Presentation”, four “Inside the Editing Room” featurettes, and a few ads for other DVDs. Most of the cut elements were promotional, so I doubt many will miss them. The theatrical cut of Elektra was a murky mess, and the slightly longer Director’s Cut fails to make it better. The movie continues to suffer from too much blandness and not enough clarity. The DVD’s terrific, though, as it presents excellent picture and audio along with a very strong roster of extras. Fans of Elektra will glom onto this top-notch DVD, but I can’t recommend it to anyone else.